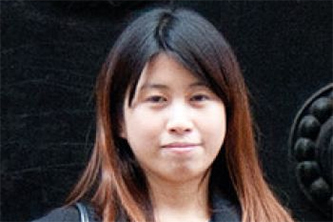 Lih Huoy Foo completed her 'A' levels in Kuala Lumpur, Malaysia and worked for a year for Topshop Malaysia. She then decided to apply to City's Cass Business School, motivated by the prestigious reputation of the BSc Actuarial Science course and potential for work experience in the City of London. At the end of her first year at City, Lih was accepted onto a two-week Insight Program at BNP Paribas - an experience she says helped her see how her actuarial skills would apply to the financial sector. Lih was keen to undertake a one-year placement in her third year at City and her tutors were helpful in alerting her to opportunities in her preferred field. The placement she secured at the Bank of England Sterling Markets Division confirmed her desire to work in the fast-paced world of finance and banking. As a research assistant at the bank, she quickly graduated from retrieving data and assisting in analysis to writing daily news updates for the morning market report, supported by a team of colleagues always willing to help and advise. For even the most motivated undergraduate, the prospect of applying for jobs in a challenging economic climate is daunting. Lih was no exception, but, on returning to City after her year at the Bank of England, she found the support of the Careers Service to be invaluable. She credits the appointments with consultants, mock interviews, CV guidance and general professionalism of the Careers Service with her successful application to Bank of America Merrill Lynch for a graduate role in the Captial Markets division. The role includes a training course in New York. Lih feels that the solid grounding she has acquired in finance, mathematics, statistics and critical thinking will be invaluable in her move from City to the City.